Amazon announced on Tuesday that it’s expanding its Whole Foods grocery delivery service to consumers in parts of New York City, as well as three cities in Florida. The service is now available to Prime members in Fort Lauderdale, Miami, Palm Beach, Long Island, lower Manhattan, and Brooklyn. Additional New York City neighborhoods and cities across the U.S. will be added throughout 2018, Amazon said. The service was initially launched in February of this year. In June, the service was rolled out to major cities including Boston, Chicago, Baltimore, San Antonio, Houston, and Minneapolis. It’s now available to shoppers in two dozen cities. You can find out if the service is available in your city here. 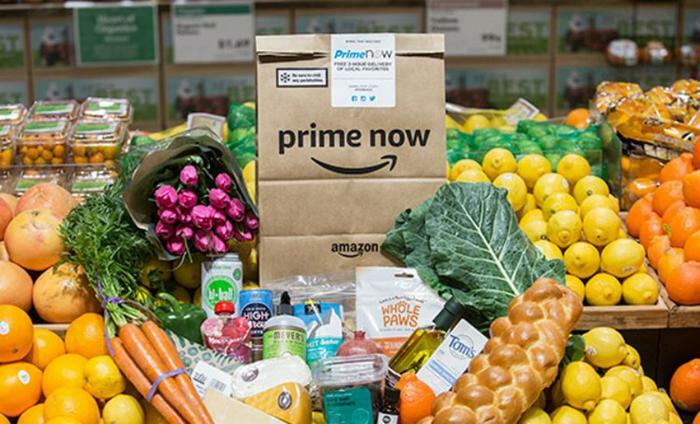 Amazon’s Prime Now program lets shoppers order items from Whole Foods -- including fresh produce, bakery items, dairy, meat and seafood, flowers, everyday staples, and select alcohol -- and have them delivered within two hours. Each two-hour delivery is free with a minimum order of $35, and a one-hour delivery costs an additional $7.99. Prime Now delivery is available from 8 a.m. to 10 p.m. This delivery option is a result of Amazon’s $13.7 billion acquisition of Whole Foods in June of last year. As part of its integration with Whole Foods, Amazon has started offering discounts to Prime members who shop at the grocery chain. Last month, the company announced that Prime members across the country can receive 10 percent off certain sale items, as well as other discounts, at Whole Foods stores.